Product prices and availability are accurate as of 2019-04-12 14:34:53 UTC and are subject to change. Any price and availability information displayed on http://www.amazon.com/ at the time of purchase will apply to the purchase of this product. Product Description Specfication: Model: G26 Capacity: 59.2Wh Start Voltage: 12V Start Current: 1000A Peak Current: 2200A In(Out): 5V/3A Output 1: 5V/9V/12V Output 2: 5V/2.1A DC Output: 12V/6A Lifespan: 1000 times Attention: 1) Do not knock, toss or shake the product strongly. 2) Don't expose product to the sun. 3) Do not short circuit at any time. 4) Keep the product away from children or pets. 5) The operation temperature should not exceed 50 °C. LED Display: ? LV/Low Voltage protection. ? R/Reverse Polarity protection. ? RC/Reverse Charging protection. ? SC/Short Circuit protection. ? HT/High Temperature Protection. 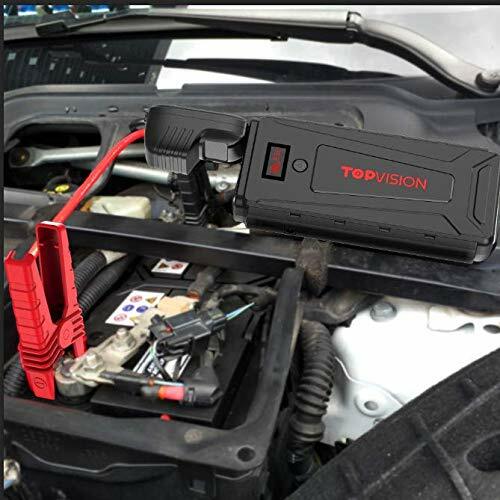 Upgrade QDSP Technology: With the same battery capacity, our new Quick Discharge Start Power jump starter has 3-5 times enhanced current compare to the old 2nd generation. At the same time, It could balance temperature through reducing start up temperature by disruptive innovation of battery / assembly structure to keep safe start. 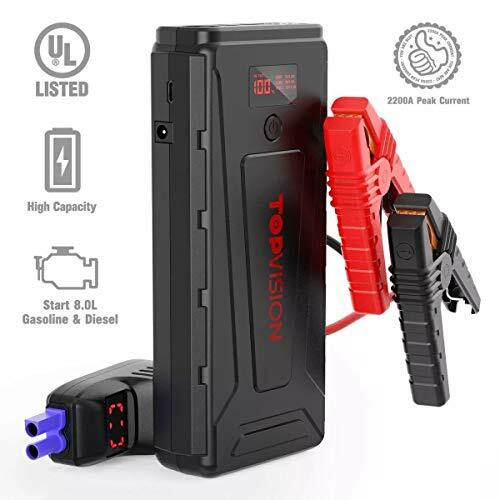 POWERFUL JUMP STARTER: This compact car power pack is able to jump start 12V vehicles (up to 8L petrol or 8L diesel engine) in seconds with 2200A peak current. 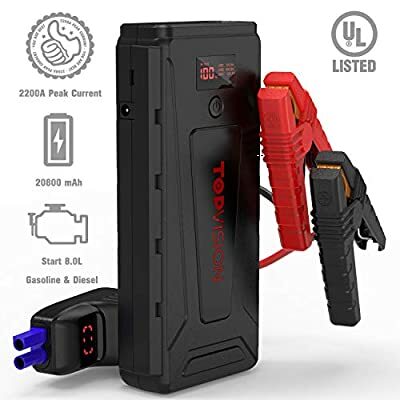 The powerful lithium battery booster - up to 50 jump starts on a single charge. Suitable for car, truck, motorcycle, boat, RV or tractor and so on. Doubles as Power Bank: Adopts the latest Quick Charge 3. 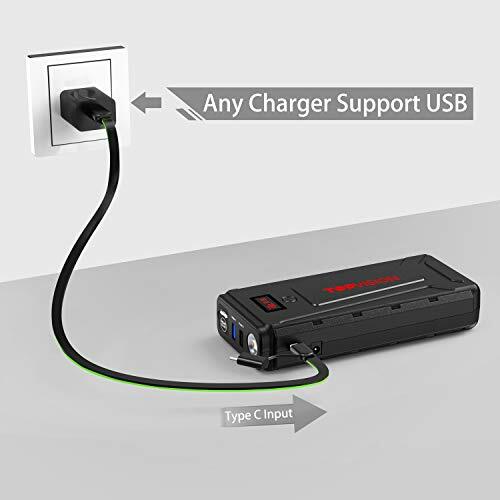 0 technology to charge smart phones from 0 to 80% in only 35 minutes; Type-C output(5V/3A) delivers the fastest possible charge for Nintendo Switch, smart phone, tablet with Type-C port. 12V/6A DC output with included cigarette adapter conveniently charges your car refrigerator, inflator, and vacuum on-the-go. 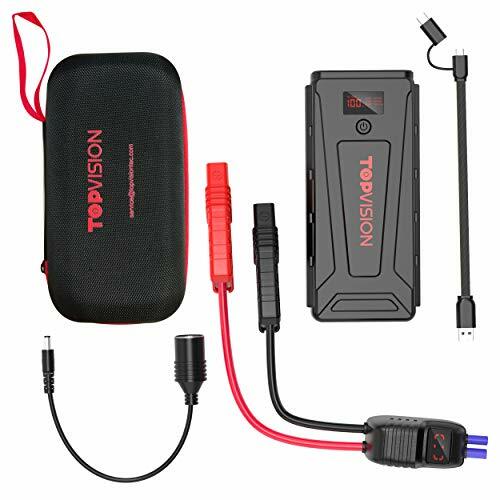 4 in 1 Multi-Function: Powerful Jump Starter + Portable Charger + LED Flashlight + S. O. S Lighting Signal for help. It can help you In any case especially for adventure, outdoor, daily, emergency, travel, etc. Ultimate Safety Protection: The high quality and spray gold clamps with a built-in protection circuit provides over-current protection, short circuit protection, over-load protection, over-voltage protection, over-charge protection. Provide ultimate protection for your safety.